Scally’s SuperValu, located in the heart of Clonakilty in West Cork, has become the first supermarket in Ireland to launch a designated in-store gluten-free bakery and food production facility. The new facility, with an investment of €500,000, will create five new jobs at the store. Coeliac disease is an auto immune disease causing some adults and children to react to gluten, the protein found in wheat, barley and rye. 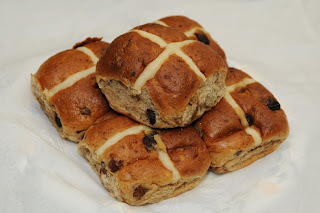 Some coeliacs are also sensitive to the protein found in oats. If a coeliac eats gluten the lining of the small intestine becomes damaged reducing the coeliac's ability to absorb the nutrients from food. This can lead to various symptoms and complications if undiagnosed. The only treatment is adhering to a gluten-free diet for life after a positive diagnosis has been made. Gluten is found in breads, biscuits, cakes, pasta, beer, pizza and in many manufactured foods where gluten is contained in the ingredients such as soups, sauces, gravy, salad dressings, crisps, chocolate, sweets and ready-meals. Coeliacs have to think ahead if they want to eat at a restaurant, need to take extra time reading labels when shopping and need to take care in their personal food preparation to avoid cross-contamination with gluten. Even a grain of gluten can cause harm and cause symptoms which can last for several days. Long-term consequences of coeliac disease if left untreated, can include increased risk of bowel cancer, infertility and osteoporosis. The ‘Clonakilty Gluten Free Cuisine’ range, which consists of a selection of almost 30 gluten-free products certified for coeliacs, will be available at Scally’s SuperValu Clonakilty and Scally’s SuperValu Blackrock in Cork city, with future expansion plans expected. As this innovative range is prepared in a separate bakery and kitchen, coeliacs can be assured that the range is 100% gluten-free, with all products independently tested and certified by Alpha Analytics. The launch highlights SuperValu’s community retail model as stores are independently owned and retailers can tailor their offer for the local area. The state of the art production facility means that the gluten-free range can be produced locally in West Cork and adds to West Cork’s reputation for food leadership. The launch of ‘Clonakilty Gluten Free Cuisine’ follows the launch last year of SuperValu’s FreeFrom range which consists of over 300 gluten and dairy-free products, already in all SuperValu stores. SuperValu serves over 2.6 million customers every week in Ireland and now has 222 stores nationwide. 75% of everything on SuperValu’s shelves is sourced or produced in Ireland. SuperValu continues to source locally wherever possible and purchases almost €2 billion worth of goods from Irish suppliers which help to sustain 30,000 jobs in the Irish economy. 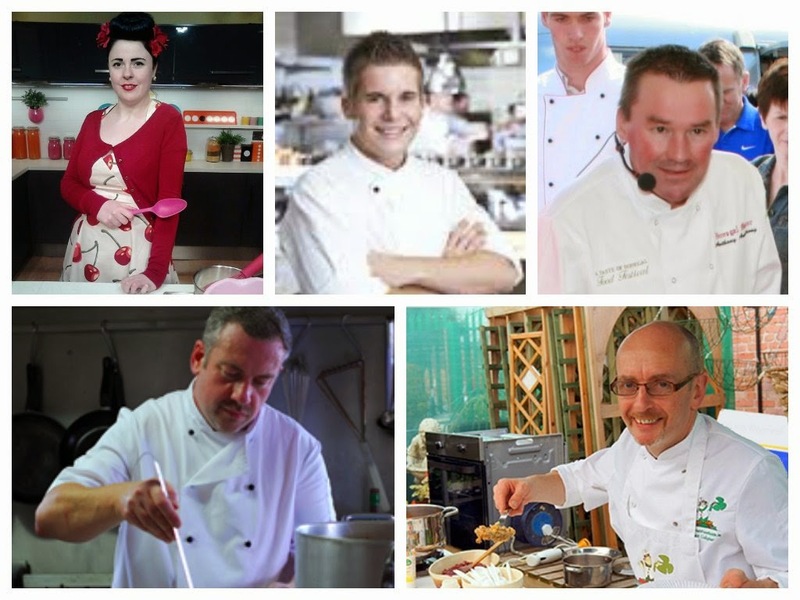 Since its launch in 2008 the Taste of Donegal Food Festival has grown into a three-day celebration of great food and has continued to attract thousands of people every day to a tented village on the pier area in Donegal Town. Over 26,000 people attended the festival last year over the three days! Against the backdrop of the Bluestack Mountains and Donegal Bay a mixture of celebrity and local chefs will again be cooking up a storm over the weekend of the 23rd, 24th and 25th August. This years festival has once again gathered together top local restaurants and hotels and over 100 food and drink producers from all over Ireland and Northern Ireland who will be showcasing and selling their products. The food stalls will also be offering tastings from an unbelievable variety of food and drink, wine and craft beers, confectionery, specialist foods, meat, fish and dairy products. 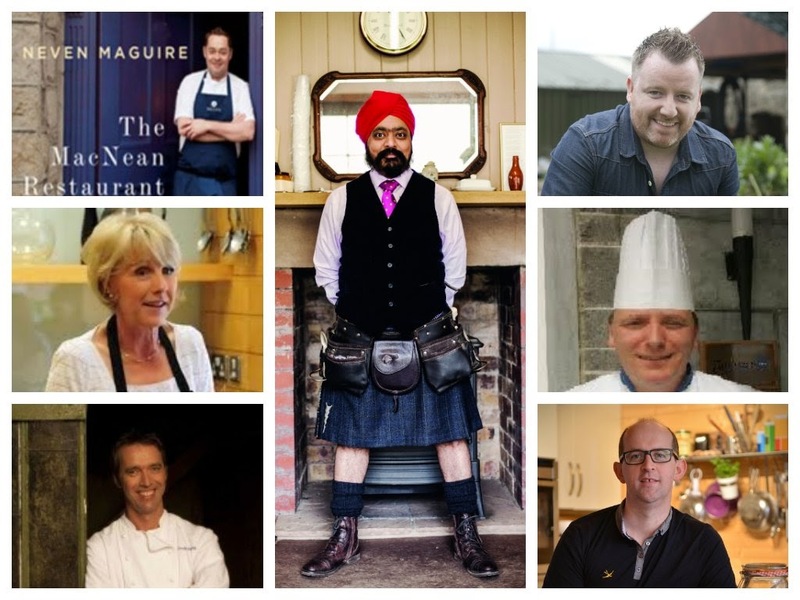 Neven Maguire, Gary O’Hanlon(Donegal Food Ambassador), Tony Singh (the Incredible Spice Man), Kevin Dundon (Dunbroody House), Brian Mc Dermott (the No Salt Chef), Anthony Armstrong, Máire Dufficy (Bordbia), Philippe Henkes, Martin Anderson (Fat Chef Slim), Ciaran Kennedy, Ethna Reynolds (Burlesque Chef) and me, Zack Gallagher (Irish Food Guide). 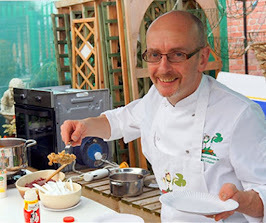 There's also a Comedy Cookery Theatre by Joe Shannon & Frank Forde. 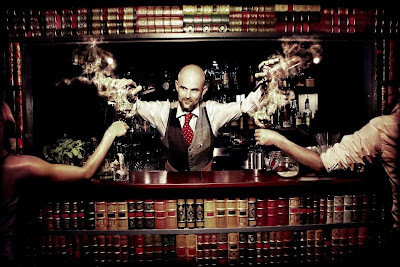 The food festival will also include master classes by experts who will showcase their specialist skills in pastry and bread making, meal planning, cocktail mixing and will help you make the right decision when choosing wine and craft beers for all meal occasions. 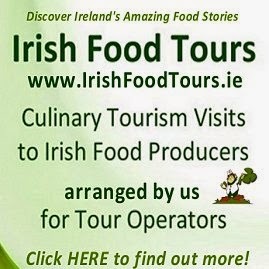 Experts include Richard Finney (wine and beers), Sian Breslin (meal planning) and Franck Pasquier (artisan bread making). "A Passion To Inspire" Chefs Competition will take place under the watchful eye of Anthony Armtrong a judge from the World Association of Chefs Society , Peter Griffths M.B.E., President British Culinary Federation, Gerard M. Molloy American Culinary Federation and Mr Bob Mc Donald, Judges from the Master Chefs of Great Britain. 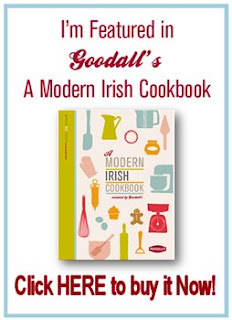 Entrants will be required to cook and present two different dishes, a starter and a main course, each for two covers, showcasing the best of Irish produce. The Committee say they are looking forward to again welcoming people to what has become the premier food and drink event here in the North West and one of the best Food Festivals in Ireland! 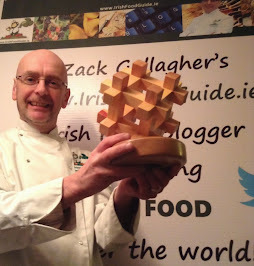 To quote Chairperson of the organising committee and award winning master butcher, Ernan Mc Gettigan, “Come along and experience the wonderful food and drink variety available. We promise to tantalise your taste buds and as our caption says, Discover, Dine, and Delight in Donegal Town over this festival weekend and indeed every time you visit this region”. 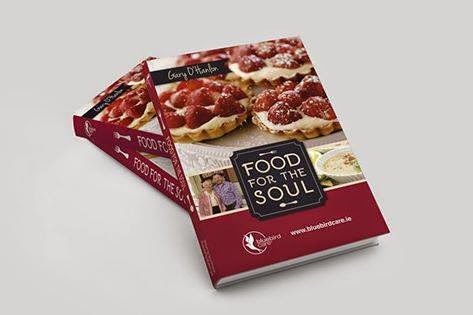 Award winning chef Gary O'Hanlon, originally from Ramelton and currently executive chef at Viewmount House, Longford, has written a new book"Food for the Soul" and the book's official launch takes place during A Taste of Donegal Food Festival, this weekend! In this cookbook Gary opens the door to his own kitchen with recipes for home cooked dishes each with a very unique story attached. Gary will be signing copies of the book on Saturday and Sunday. You can purchase them at a special launch price of just €10.00. A Taste of Donegal Food Festival will take place on Friday 22nd, Saturday 23rd and Sunday 24th August 2014 on the Pier Area in Donegal Town. The Festival will open to the public at 4.00pm to 10.00pm Friday, 11.00.am to 7.00pm Saturday and Sunday. 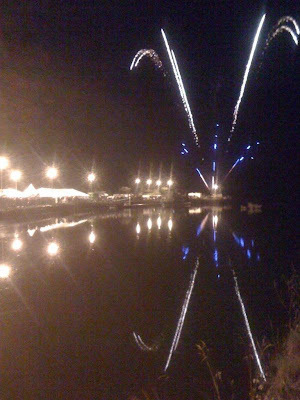 The opening evening (Friday) will conclude with an amazing fireworks display over Donegal Bay! Admission is only €4.00 per adult, €2.00 per child and only €10.00 for a weekend pass! Behind Donegal Tyre Centre – Drumlonagher, Donegal Town. Public Car Parks - behind Main Street, Bank Walk, and any other designated parking areas available. 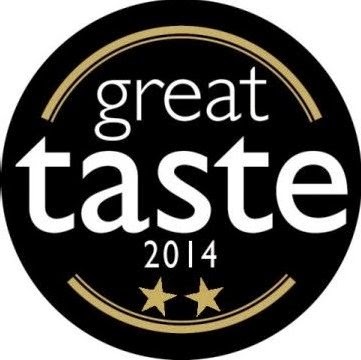 The 2014 Great Taste Award winners were announced this week and Irish food has again proven it being excellent quality product by claiming more of the prestigious Gold stars than ever before! 405 judges including leading retail buyers, chefs and food writers were involved in the seven-week judging process that involved over 10,000 individual products from the UK and Republic of Ireland. This year’s awards also included the first-ever judging session to be held in Belfast. I was delighted to be asked to be one of the judges and I spent a very interesting three days in Belfast working with some wonderful people who are simply and totally passionate about food. James Whelan Butchers, Donegal Rapeseed Oil (Castlederg), The Cloudberry Bakery, Bell Lane Coffee, Nobó Foods and Irish Atlantic Salt Ltd.
For your information - "Teo.Ltd" means "Company Ltd." in Irish Gaelic - this implies that the company is based in a Gaeltacht (Irish-speaking) region of Ireland. Callan Bacon Dry Cure Bacon Steaks. Callan Bacon Dry Cure Bacon Medallions. Callan Bacon Dry cure whiskey smoked rashers. Yawl Bay Seafood Ltd. Yawl Bay Seafood - Cooked Irish Crab Claws and Cooked Irish Crab Meat. 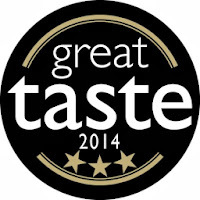 The awards are organised by the Guild of Fine Foods and all products to rate 3-Stars will now go forward to the Final Stage of the awards on 8th September in London, when the Supreme Champion Award will be announced. Congratulations to everyone who succeeded in winning such recognition for their food product.